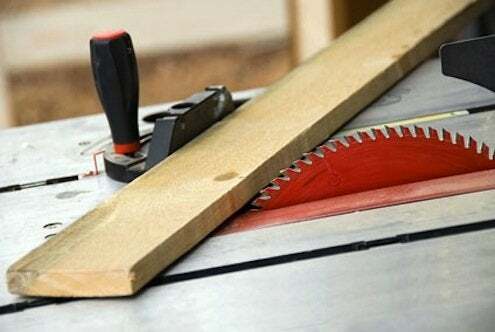 You don’t have to undertake too many do-it-yourself woodworking projects to understand that a table saw is a must-have tool for any serious workshop. If you’ve got your eye on one this holiday season, here’s how to know which table saw is right for you. Let’s start at the top: cabinet saws have the heftiest construction and components, quietest motors, and most precise operation. At a couple thousand bucks minimum, their cost is really only justified if you do this for a living. For a thousand or so, a contractor saw or a hybrid will perform almost as well. Portable saws are great for weekend warriors, shops with space challenges, or those who need to bring their tools with them to the job. For a couple hundred dollars, a portable table saw doesn’t have as big a motor as the others, but it’ll make long, straight rip cuts, rapid cross-cuts, dadoes, miters and lots more you wish your circular saw could do but can’t. You can get them with fold-up bases with wheels, self-aligning fences for accurate cuts, sliding miter tables and dust collection bags to help with cleanup.